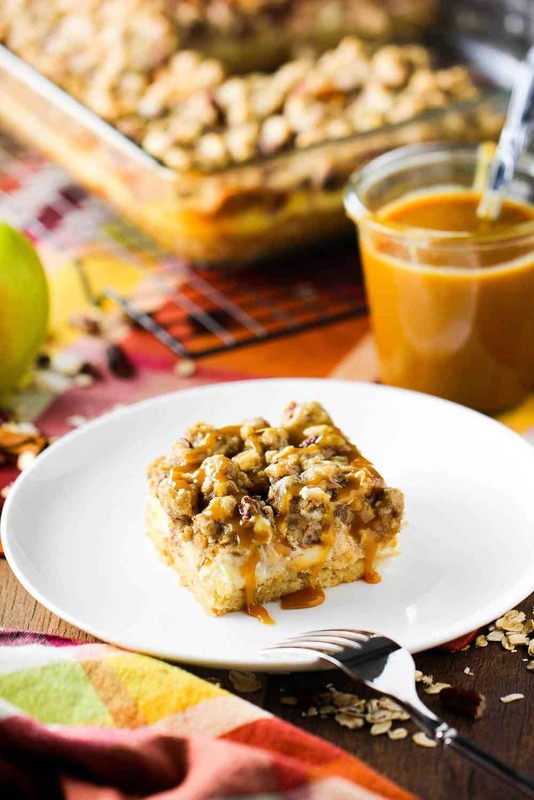 Cream Cheese Apple Bars with Pecan Streusel are a true celebration of everything we love about baking in the fall! The layers upon layers of deliciousness just can’t be beat. After one bite, Wesley announced this was his new favorite fall dessert. (Of course, this was my first dessert of the fall, so far…but it is really good). Pecans are one of our most favorite types of nuts, and they work beautifully in the shortbread crust, as well as the streusel. And who doesn’t love cream cheese? We certainly do! The lemon juice and zest really bring the cheese filling to life. So creamy and delicious! We love all types of apples, but we find that Granny Smith apples work the best when making these Cream Cheese Apple Bars. Simply peel and core them, and then dice them into small bite-size chunks. 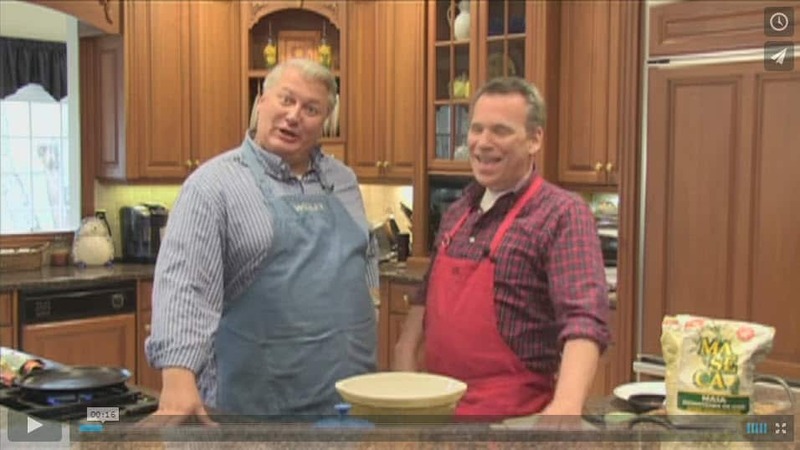 They will cook down as they bake. 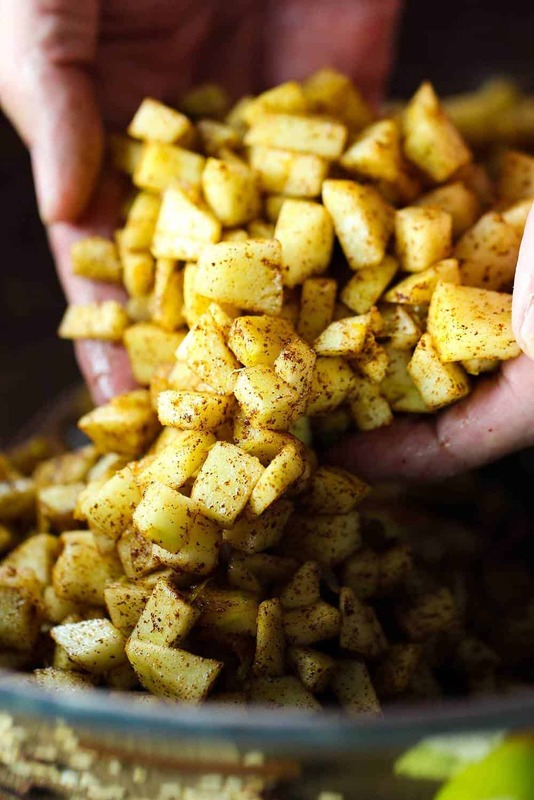 The cinnamon, nutmeg and allspice are the perfect compliment to the beautiful apples. 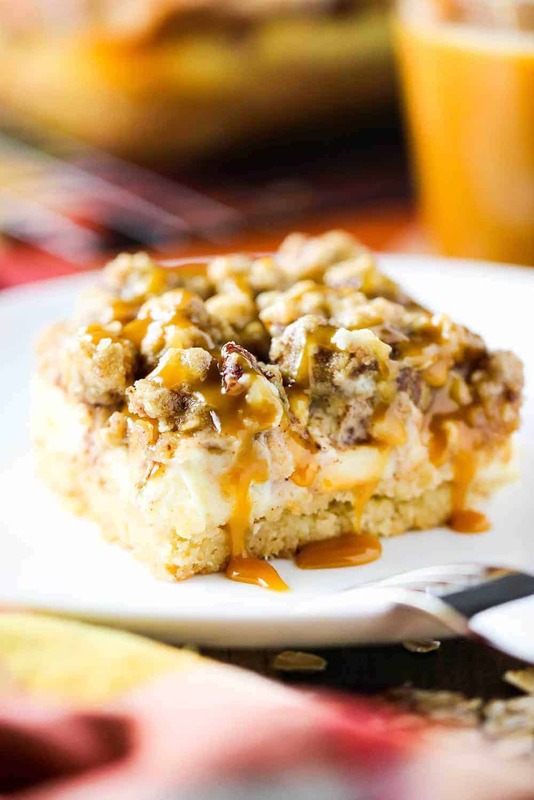 We need to bring these beautiful cream cheese apple bars to the next level with an amazing streusel topping. We already said how much we love pecans. How about some old-fashioned oats. With toffee bits? 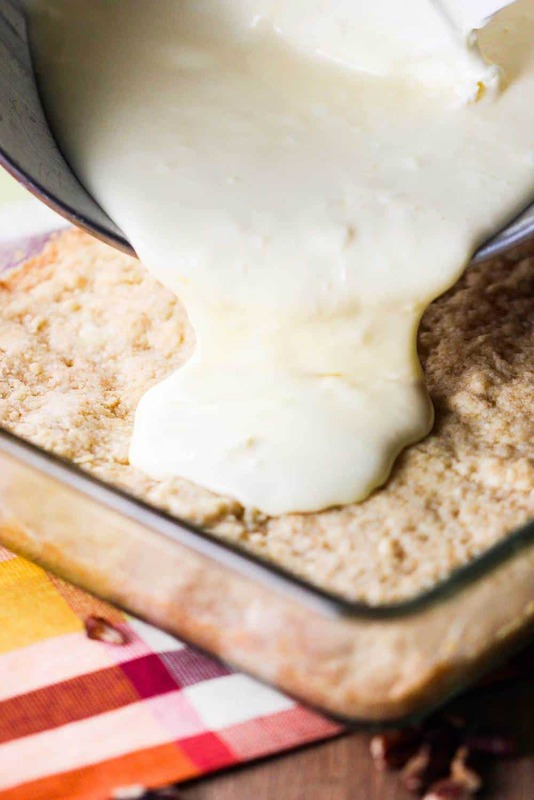 You will love the smell of these cream cheese apple bars as they are baking. Wesley insisted on sampling the dish soon after it came out of the oven. It was amazing. But we think it’s just as good (maybe even better) after it chills. If you’re looking for a delicious fall dessert that will put a smile on the faces of the one’s you love…you’ve come to the right place. These are even better with a drizzle of warm caramel sauce of the top. 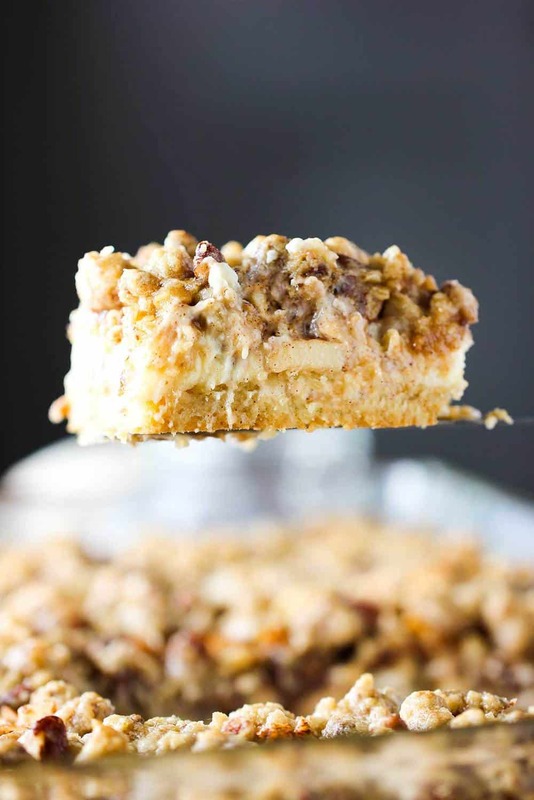 Make these Cream Cheese Apple Bars with Pecan Streusel, and you will have lots of happy folks in your home. 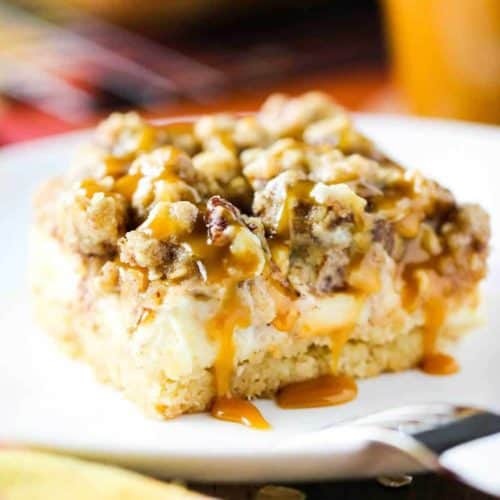 These Cream Cheese Apple Bars with Pecan Streusel are the quintessential fall dessert to fall in love with. So heartwarming and a little decadent...they are simply divine. You can serve them warm, but we love them chilled with a little warmed caramel sauce drizzled over the top. Heavenly. In a food processor, pulse together the pecans and the sugar for 30 seconds. In a mixer, on medium speed, beat the butter, vanilla and pecan/sugar mixture until creamed and fluffy, about 2 minutes. Mix in the flour and salt until just combined. Chill the mixture for 30 minutes in the fridge. Press the shortbread into the bottom of a 9"x13" baking dish that has been well greased with butter, shortening, or cooking spray. Use a fork to puncture the crust all over. Bake for 15 minutes until lightly browned. 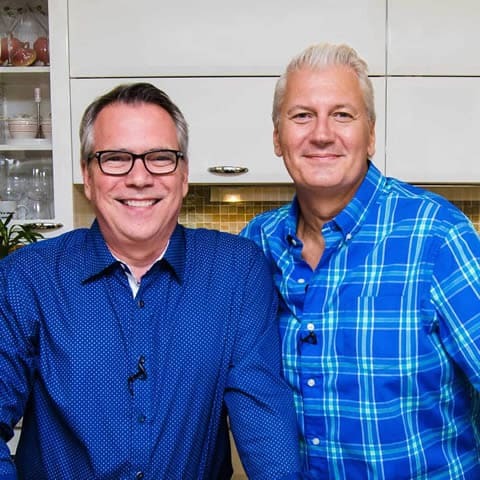 Remove from oven and let cool on a wire rack. In a medium bowl, mix (stand mixer our hand-held mixer) beat the cream cheese and sugar until smooth. One at a time, add the eggs, beating well after each addition. Add the lemon zest and lemon juice along with the vanilla and beat until combined. Spread the filling over the cooled shortbread. 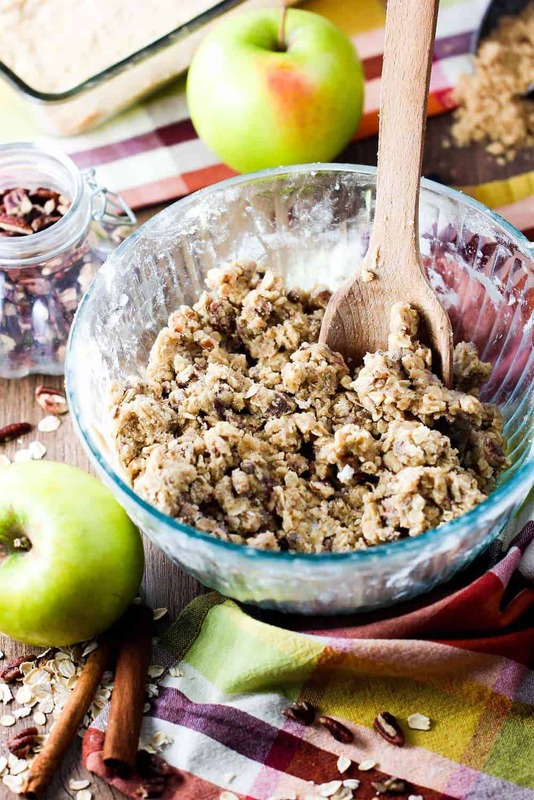 In a separate bowl, stir together the apple, sugar, cinnamon, nutmeg, allspice, lemon zest, lemon juice, and vanilla. Spread the apple mixture over the cream cheese mixture. In a medium bowl, stir together brown sugar, flour, oats, toffee bits, pecans, and salt. Carefully fold in the butter with a fork, until incorporated. The mixture will be a bit crumbly. Sprinkle the streusel over the apples. Bake until set, about 30 minutes. Let cool for 30 minutes on a rack. Serve warm, or cover and chill in the refrigerator. Serve with warm caramel sauce, if desired. Hi Kris and Wesley,Peggy here again. Just wanted you to know I made the cream cheese apple bars with pecan streusel,today,and it is WONDERFUL. I will include this in my cookie/bar Christmas exchange.Theres a whole lot more servings than for 8 people!! This recipe is very good and i love it. I have a question = Whether or not to use red apples in this recipe? Awesome! You could certainly use red apples. We love Granny Smith, but delicious red, or any variety would be just fine. Let us know how it turns out. We think you’ll love it! !